We already have two slots taken! Another slot is a secret topic, will be announced just before the GS. So we have two more, book your session on InterSystems IRIS Flash Talks from Developer Community! Few days before Global Summit 2018! And I can announce yet another presenter: @Eduard Lebedyuk, InterSystems. Title: Open source approaches to work with Documents. And we have the day and time! 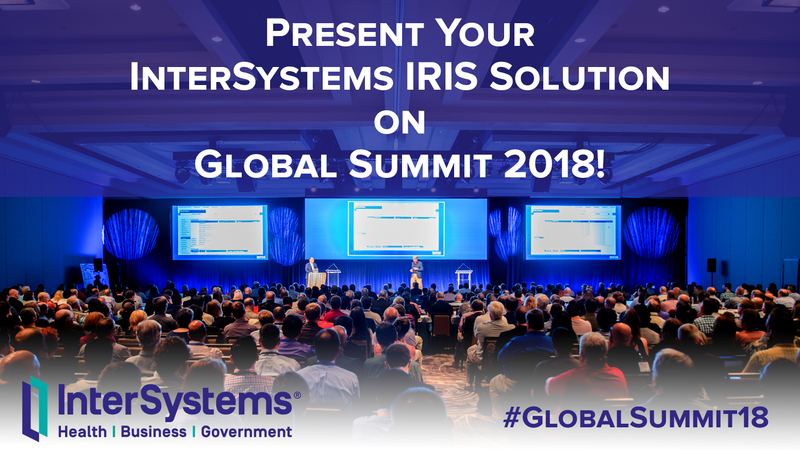 Find Developer Community Flash Talks "Share Your InterSystems IRIS Solution!" on Tuesday the 2nd of October on Flash Talks Stage from 2pm to 3-30 pm. And, we have another flash talk topic - "Visual Studio Code IDE for InterSystems Data Platforms" from @John Murray! So many exciting topics! Looking forward! InterSystems Open Exchange - marketplace of Solutions, Tools and Adapters for InterSystems Data Platforms! Tuesday 10/02, at Tech Exchange Global Summit 2018! Great stuff. Thanks. Where can I get the sample files and/or some instructions on the use of Kubernetes as demonstrated? I bet @Dmitry Maslennikov can share the info. Dmitry? I have done kubernetes deployments on a couple of projects, but both of them is private. And I can't share it. If you need some help, you can contact me directly, and I can share some ideas about how it can be done.